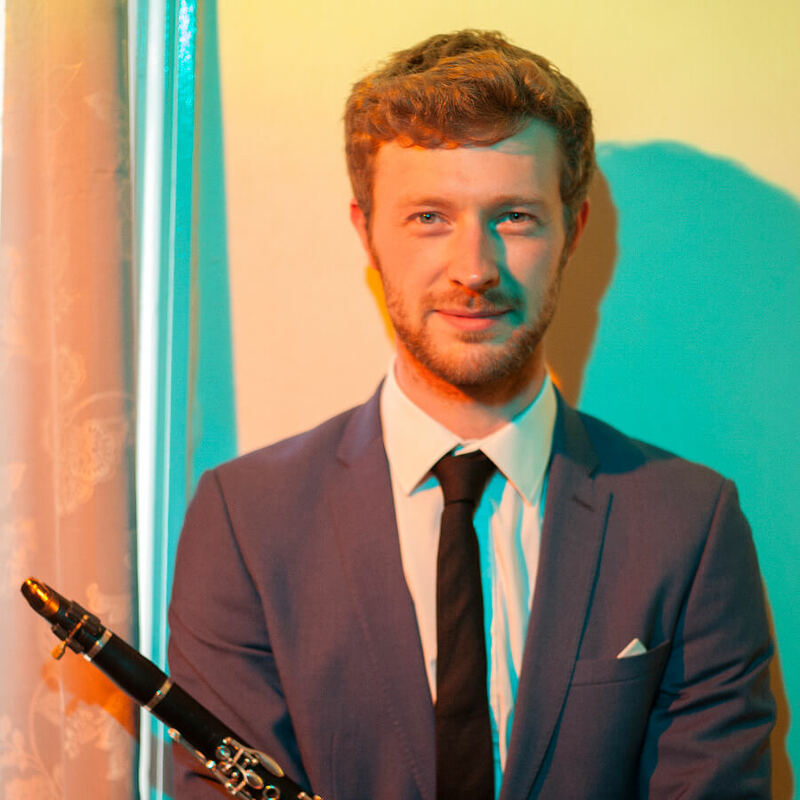 Oliver Pashley is a young London-based clarinettist and founding member of contemporary quartet The Hermes Experiment. He is a member of Britten Sinfonia, and has played guest principal with groups including the Royal Philharmonic Orchestra, BBC Concert Orchestra, Bournemouth Symphony Orchestra, and London Mozart Players, and English National Ballet. As part of The Hermes Experiment Oliver has toured the UK and abroad. The ensemble, consisting of soprano, clarinet, double bass and harp, has commissioned over 50 new works and arrangements for the group, and frequently ventures into live improvisation, graphic score, and performance art. Recent highlights include performances at Wigmore Hall, LSO St Luke’s, Southbank Centre, Kings Place and Spitalfields Festival. Oliver studied at Cambridge University and the Guildhall School of Music and Drama, and gratefully acknowledges the support he received from the Countess of Munster Musical Trust and Help Musicians UK.